The Health Levy makes it possible for everyone in Ireland to pay the same amount of money for the same level of health insurance, regardless of their age. The Health Levy was introduced in 2009 and increased by 178% for adults and 179% for children in the eight years to 2017. From April 1st 2017 the two levy rates for adults are €222 and €444; and two rates for children are €74 and €148. The rate applied is dependent on the level of insurance cover purchased with those on more advanced policies paying the higher levy. Reduced rates can apply to some policies depending on health credits gained due to age and general health. Everyone pays the same amount, regardless of what they are paying for their level of cover. The Health Levy has played a big part in pushing up premiums in recent years. And higher premiums are making people turn their backs on private health insurance. The Government would like to see more of us take out private health cover, especially young people. That's why Lifetime Community Rating was introduced. You already pay for healthcare through your taxes, PRSI and the Universal Social Charge. The levy just increases this financial burden. It all started with Risk Equalisation. It was introduced to even out the cost of insurance claims from older patients across all of the insurers. Risk Equalisation is based on the idea that we all pay the same for the same level of health cover. How old or how healthy we are doesn't matter. The Health Levy was introduced by the Government as a way of raising money to help those insurers with mostly older members deal with their higher costs. But the Government keeps increasing the levy – and not by small amounts, either. As a result, premiums keep going up too.  That's creating a vicious circle. Higher premiums are driving younger, healthier people away. That puts a heavier financial burden on those with health insurance so more people are forced to drop out. That means even fewer people have to cover the costs, so their individual premiums go up again... and so on and so forth. Eventually, the system stops working, leaving those in most need of support with no help.